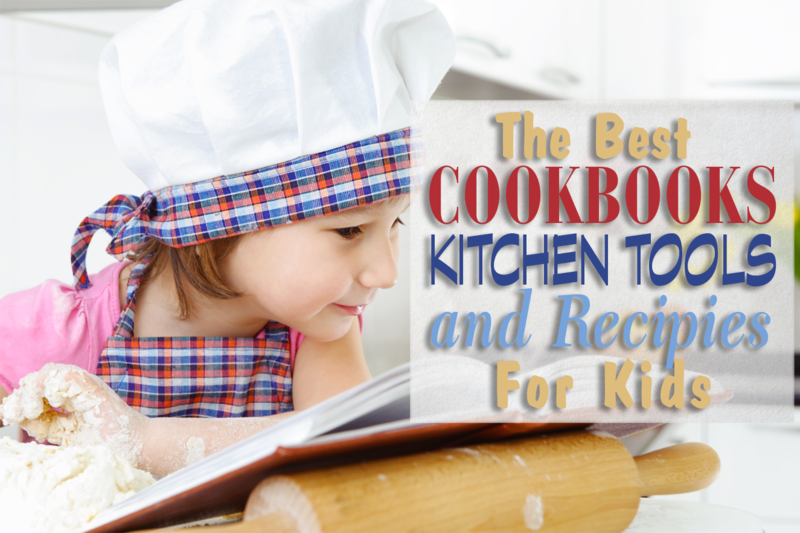 We pulled together a great list of the best cookbooks, kitchen tools and recipes for kids because we love cooking with children. When you cook with your kids you’re not only getting to spend precious moments with them, but you’re also teaching them valuable life skills that can be applied anywhere. We took all of the guess work out of it for you so you can dig in and get cooking! Something for everyone is in these cookbooks for kids. Teach your kids healthy eating habits or just some basic kitchen skills with these wonderfully written cookbooks written for the aspiring chef. 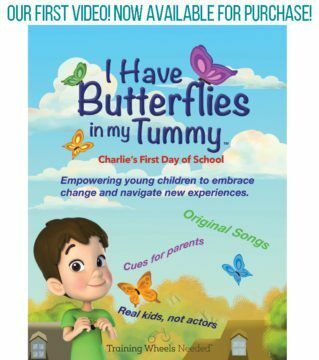 Focusing on what kids eat and how it affects their bodies, this wonderful cookbook features a variety of healthy recipes from breakfast to fantastic desserts. 25 delicious recipes that are fun and kid friendly. This book is geared toward a slightly older child, but with a little more supervision from you in the kitchen you can get your kid cooking in no time. Our favorite since it’s written for perfect age range. Each of the 65 scrumptious recipes include a photo and fun illustrations with characters that tell a story to accompany the dish. Create an area in your kitchen, a drawer or bin where your child can keep their own equipment. Make your child responsible for keeping his or her equipment organized and clean. It’s a wonderful learning opportunity. A complete set for the aspiring baker in your life. This lovely cookie kit includes a bear and butterfly cookie cutter, whisk, non-stick rolling pin, silicone spoon, cookie turner, shopping list and stickers. Make some deliciousness with your little one! Teaching your kids healthy eating habits starts now. Put your kids on the right path with this wonderful set of fruit and veggie prep tools. Your little boy or girl will feel like a pro in this delightful chef’s apron and hat. And seriously, you can take some adorable photos! Here is a couple of fun summer recipes to try with your kids. Mostly healthyish! This healthy spin on a classic pasta dish is all you need to get your kids loving yogurt and cooking! This light, low-cook meal is the perfect opportunity to introduce your kids to a love of vegetables and lean protein. Plus peanut butter! Bread. Nutella. Raspberries. Need I say more?! Check out our boards on Pinterest they are full of awesome cooking projects you and your child will enjoy. Make a family recipe book. Print the recipes and let your child decorate the pages with markers, stickers and paint. It will be a family treasure that can keep growing. Pro tip: if you don’t like the kitchen I bet grandma does! Take a trip to the grocery store to pick up the ingredients and drop them with the kids at grandma’s house. Now your’e set for a little me time to get that pedicure you have put off for weeks. Do you cook with your kids? Let us know what your favorite cookbooks, kitchen tools and recipes are!